Amanda is a director in the Litigation Practice Group. Her practice is primarily focused on advising employers and insurance carriers on the defense and resolution of workers’ compensation claims. Amanda handles all aspects of workers’ compensation litigation, including discovery, hearings, settlement, appeal, and mediation. Amanda regularly represents employers and carriers before the Workers’ Compensation Commission and before the Virginia Court of Appeals. Amanda provides guidance on advanced matters such as liens and subrogation, child support, and Medicare, and regularly facilitates settlement of matters that involve such concerns. In addition to advising clients on the defense of potential claims, Amanda also counsels employers on strategies for the prevention of workplace accidents. Amanda frequently lectures on advanced topics in Virginia workers’ compensation. 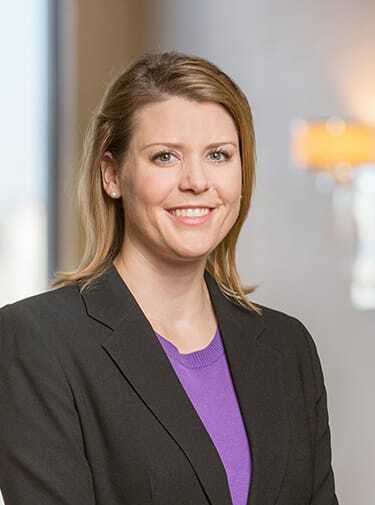 She has served as both the Chair and Vice Chair of the workers’ compensation section of the Virginia Association of Defense Attorneys and has been repeatedly named a Rising Star by Super Lawyers.